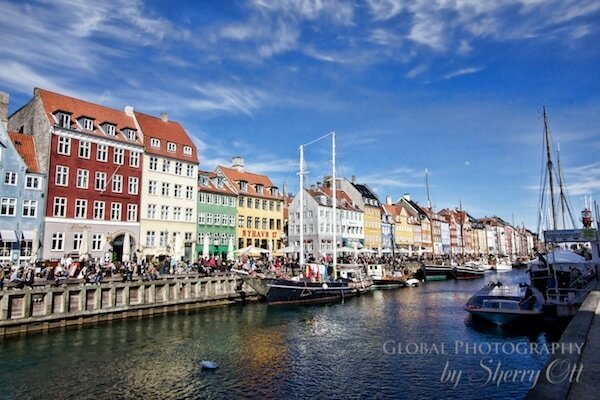 Copenhagen (and all of Scandinavia) is also known for being super expensive for travelers. I knew this when I decided to take the train to Copenhagen, but my desire to see Scandinavia outweighed my concern about the costs. Great in theory and then I got there, stepped off the train, bought a subway ticket, did the conversion (over $4USD) and realized that it wasn’t just sort of expensive, it was really expensive in Copenhagen for a US Dollar traveler. This is where I try to save money so of course I took advantage of the breakfast offered by my hostel. It wasn’t included with the cost of the room, but the price was reasonable in Copenhagen terms (aprox. $13 USD) mainly because of these four little words which won me over – “All you can eat”. It included bottomless coffee – my heart was a flutter – from the caffeine and the excitement. It also included a good array of brown bread, rolls, meat, cheese, cereal, yogurt, fruit, and juice. I’d load up on breakfast, pack my bananas and breakfast bars in my backpack for lunch snacks, and then eat dinner out or at the hostel which had a great bar and dinner specials every night of the week.